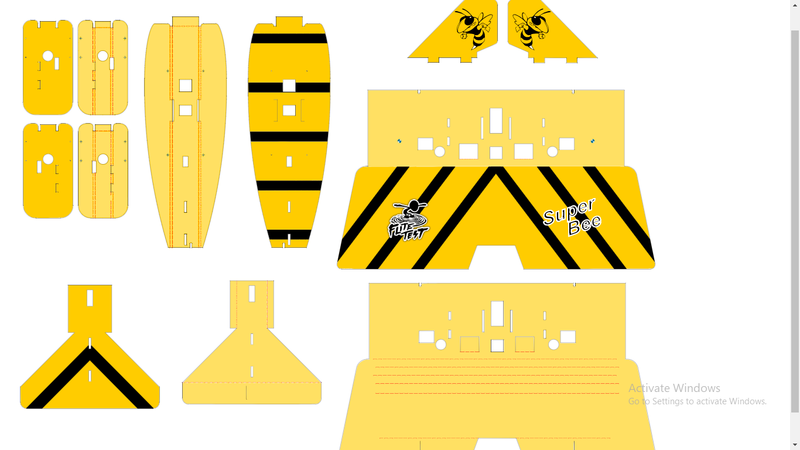 I was inspired by the FT Super Bee and @Mid7night 's insane Angry Bee to create this skin. The raw Scaled Vector Graphic file is attached but with a .PDF extension so the forum will let me upload it. Just rename the file extension to be a .SVG and it will open up in Inkscape or any other SVG editor. The PDF is set to print on an Arch D sized paper - 36" x 24" If you don't have access to a wide format printer, you can upload the file to places like Staples for their engineering printing service. It costs me about $7 for the page here in the Washington DC metro area - if it tries to charge you a crazy high price it's probably trying to print it on photo paper, which won't work for the foam board.